Planting is more fun in a tutu! Thanks to his Mother, Jeremiah learned to garden and the art of canning. A good day of canning! Rusty Anchor Bloody Mary Mix has been in development since 2006 when Jeremiah first opened the Rusty Anchor Tavern in Wheaton, MN. He wanted a signature, homemade drink to serve in the tavern and a good Bloody Mary is always a hit. Jeremiah started making his own mix from a secret recipe, but eventually he made changes to develop his own recipe using garden fresh ingredients. The Rusty Anchor Tavern customers have been the best test subjects for sampling the different recipes. Jeremiah's family has a long history of canning. With help from his family, he planted different varieties of tomatoes, jalapenos, onions and garlic. He started with only 20 plants and eventually within a 2-3 years, he had 180 plants. 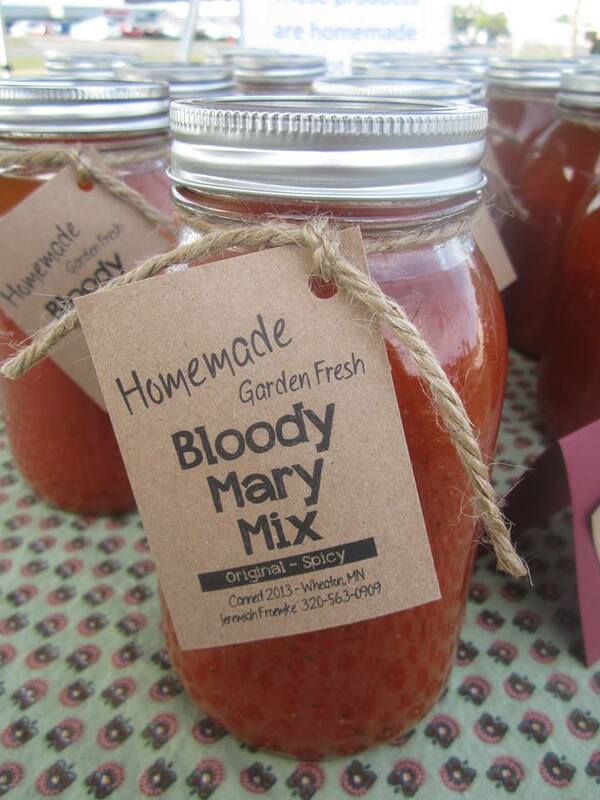 The 'Homemade Garden Fresh Bloody Mary Mix' was used in the tavern and sold at local farmer's markets. In order to start selling commercially to stores, restaurants, bars, etc., Jeremiah began the process of finding a small commercial kitchen to produce his Bloody Mary mix. In December of 2014, the Rusty Anchor Bloody Mary Mix became available for retail sale.